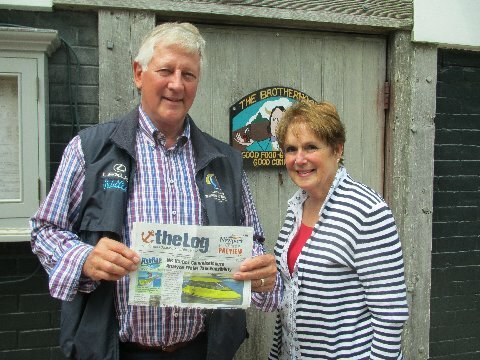 Enjoying Good Spirits Al and Lorry Herbert of Avalon, stand with a copy of The Log outside The Brotherhood of Thieves on Nantucket Island, Massachusetts. The whaling tavern was established in 1972 in the basement of actor Arthur Krause before undergoing extensive renovations in 2005. The Brotherhood of Thieves is taken from the title of an 1844 pamphlet written by Stephen S. Foster, who opposed those who supported the institution of slavery. ← Log Abroad: Morgan Wilson, Sr.